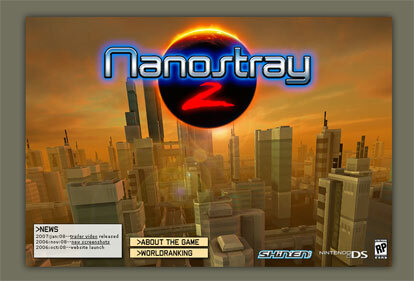 Nanostray 2 (N2) is the ultimate action experience for your Nintendo DS. N2 delivers fast paced gameplay, more intense than any other game for your handheld. Ultra smooth graphics easily surpass anything you have seen on the Nintendo DS before. Discover hundreds of unique enemies, beautiful worlds and frightning bosses spread across the Nanostray galaxy. Face the ultimate challenge!